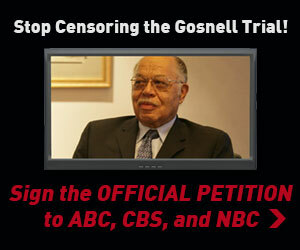 Let’s put media bias and the Kermit Gosnell murder/late term abortion trial into perspective. First, this is an absolutely horrible case. Gosnell, 72, faces is accused of killing babies by using scissors to cut their spinal cords. Authorities allege that some of the infants were born alive and viable during the last three months of pregnancy. I haven’t heard anyone – pro-choice or pro-life – defend this guy or what he reportedly did. Second, the media is biased. Get over it. There was strong liberal and conservative bias in covering this trial. The overall bias is the NML Bias I explain in the video above or here. If these were real news outlets, they would report the news, not what their competitors are doing or not doing. In fairness, most of the websites for the news outlets did carry stories on the trial testimony. Third, the coverage of the trial is based on the network’s business models. Fox News whips up the emotions of their viewers who are passionate about stopping all abortions. That’s what their core audience wants. So Fox aired the story and the testimony far more times than other outlets. MSNBC’s core audience does not want to see that story. You heard arguments that it was just a local story — which it is not. Instead, these news outlets concentrated more on the failure of new gun laws passing in the wake of Sandy Hook. Fourth, Fox News’ tag line of We Report, You Decide was absent again. It sounded like we reported and we decided what your reaction should be. Again, cable outlets are not news outlets; they‘re mainly advertising generators that are really entertainment and political forums. Fifth, I am surprised, though, that CNN Headline News didn’t cover it. CNN Headline News and Fox News are the most tabloid cable outfits. Sure, CNN and MSNBC have their tabby moments, but CNN Headline News and Fox love the car chases and the weird stories you would only see on Inside Edition. Still, this trial seemed like a no-brainer for Nancy Grace. Sixth, I am also surprised that pro-choice advocates didn’t use the story to their advantage. For instance, many states have enacted laws restricting abortion and many others have cut back on regulation and clinic checks to save money. Pro-choice could have made the case that having fewer sound abortion clinics and good doctors lead to horrible situations like this. My guess is if this story happened in Mississippi – and not Philadelphia – it might have been a different response. Lastly, this type of coverage only creates heat and not light. Unless someone was on the fence about where they stood on abortion, this story is not going to change many people. Abortion is a very personal issue that is ingrained in all of us based on our beliefs, upbringing, and experiences. Where I think Fox crosses the line is in its tone. They tend to browbeat people; they tend to characterize them as immoral when these issues for many people are private. Sure, MSNBC has done its share of making a small majority of elected Republicans seem indifferent to the murders at Sandy Hook because tougher gun laws didn’t pass. But that argument seems to resonate with more people since gun makers are trying to preserve their profits and the majority of people – including gun owners – were looking for a compromise that couldn’t be reached. Can you call it liberal media bias? Sure. But I think the absence of the stories on so-called liberal outlets is not because those viewers have a love of abortion, but because the story is so revolting.